The Gilcrease Institute of American Western Art in Tulsa Oklahoma may be the largest and most comprehensive collection of art and items dealing with the American West in the world. It is difficult for people today to imagine what it was like when there were no pictures to tell us how other people lived, or to display the magnificence of the western U.S. scenery. 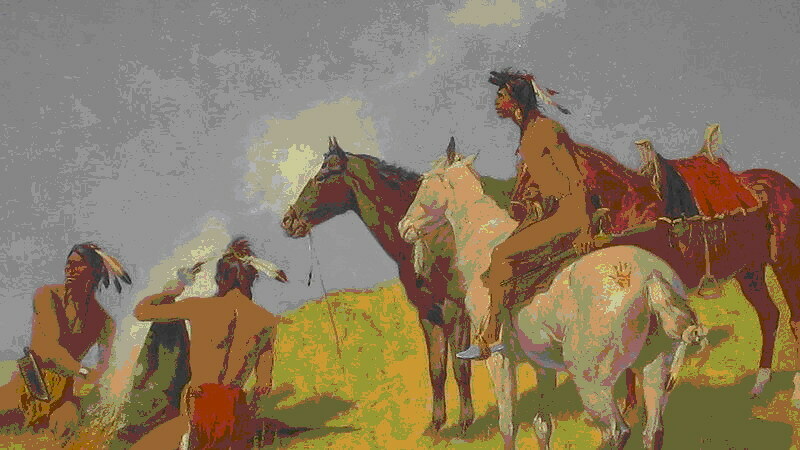 The only way those outside of the west could see what the west and its Indian inhabitants looked like in the first half of the 19th century was through paintings. Fortunately a number of unusual men stepped into the wilderness to bring home these images. A large number of those painting were collected by Thomas Gilcrease and are now housed in the Gilcrease Museum. At the age of nine because he was 1/8 Creek Indian Thomas Gilcrease was given 160 areas of land where oil was later discovered. This made him a millionaire at age 20. With his great wealth he decided to collect American Western Art and eventually amassed 10,000 items and had this museum especially designed to house them. In 1949, he opened the Thomas Gilcrease Institute of American History and Art on this estate. 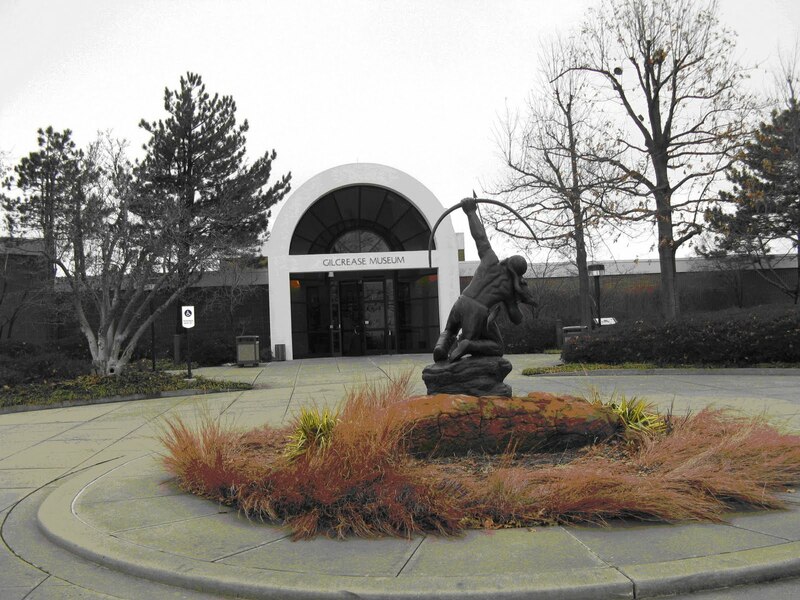 When Gilcrease got in financial trouble and the city feared he might sell the institute they approved a $2.25 million bond issue which paid Gilcrease's outstanding debts. 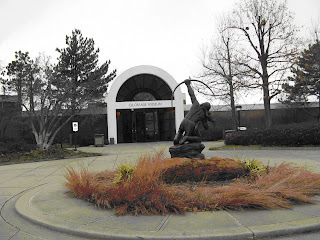 In response, Gilcrease deeded his entire collection to the City of Tulsa in 1955, and in 1958 gave the museum buildings and grounds to the city. 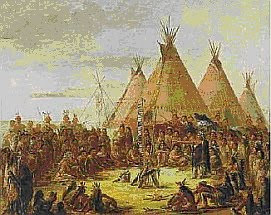 America’s first good overview of what Indian life looked like was given to us by George Catlin (1796 – 1872). He accompanied William Clark up the Missouri to record the lives of the Indians along the way. Over the years he made 500 paintings the largest number of which are owned by the Gilcrease. His work gives us the best pictures available of what life was like on the plains during the nineteen hundreds. Other painters brought back large paintings of scenery of such places as Yellowstone that at the time seemed unbelievable to the viewers. Could such magnificence actually exist? Later in the century Charles Russell (1864 – 1926) and Frederic Remington (1861 – 1909) showed us what life among the Indians was like. Russell painted the calmer non-aggressive period pieces and Remington the more war like and aggressive side of the winning of the west. The museum claims they have more Remington’s than any other museum, a statement that surprised me since I have seen so many Remington’s in other museums. For a man who died comparatively young he was tremendously productive. His art was used for illustrations in magazines of the time. In a number of rooms sculptures by Remington abound and models can be bought in the museum store if you have the money. Several areas of the museum were closed when we were there as they are getting ready to do a major Charles Russell show. The guide told us that when a new show comes in the rooms are repainted and reconditioned. A great range of art is on display going back to early Mexican cultures. Twenty four masks from Mexico made an impressive display. Included in the museum are Indian bead work on moccasins, pottery, baskets, Kachina Dolls, necklaces, rugs and carvings. Despite the size of the collection that was on display the guide told us that it is only a third of what exists in the collection in the basement. Seeing how art often runs in families, including my own, I have often felt a gene or set of artist genes must exist. 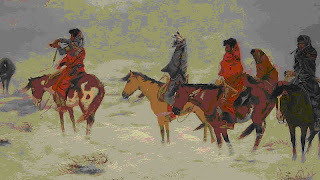 From I have been seeing on this trip I believe that gene must be common among American Indians.